Tri Agustin Ningrum is originally from Pacitan. After high school, she enrolled in the English Education Program and graduated from STKIP in 2015. 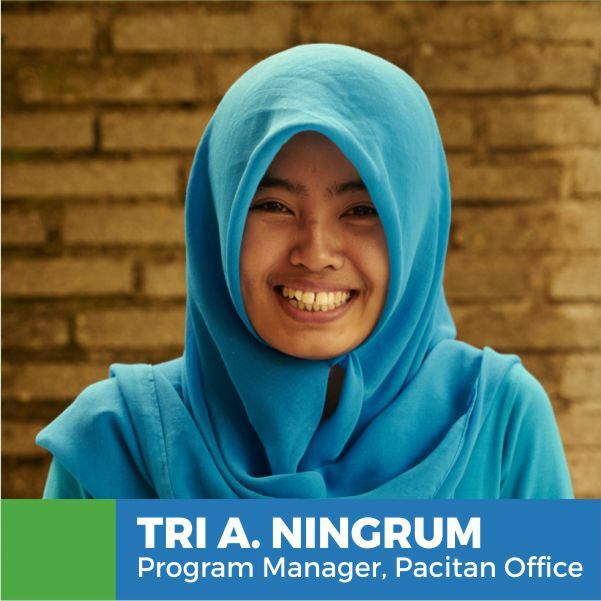 She hopes that in the future that Project Child will be a role model on how to practice sustainability in Pacitan. She was promoted as an employee in 2016 and is excited that PCI is concerned about education, social issues, and the environment. Currently, Ningrum is also involved as a tutor at the Guidance Learning (Bimbingan Belajar). She teaches English there for the elementary, junior and high school levels.